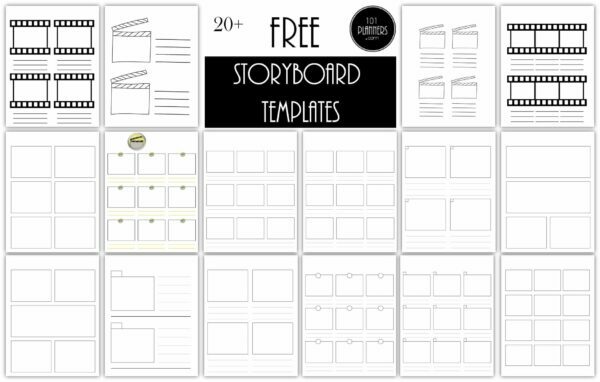 Our Storyboard Template Maker enables you to create free storyboard templates within minutes in the format that best meets your needs. 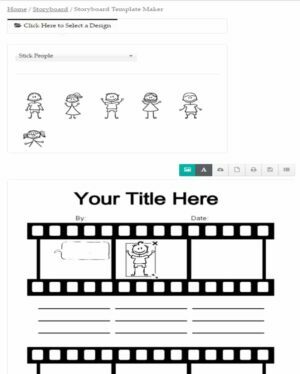 You can add speech bubbles, text, images or stick figures with a click of a button. When complete, you can download the template as a PDF document, an image, to Word or to Powerpoint. 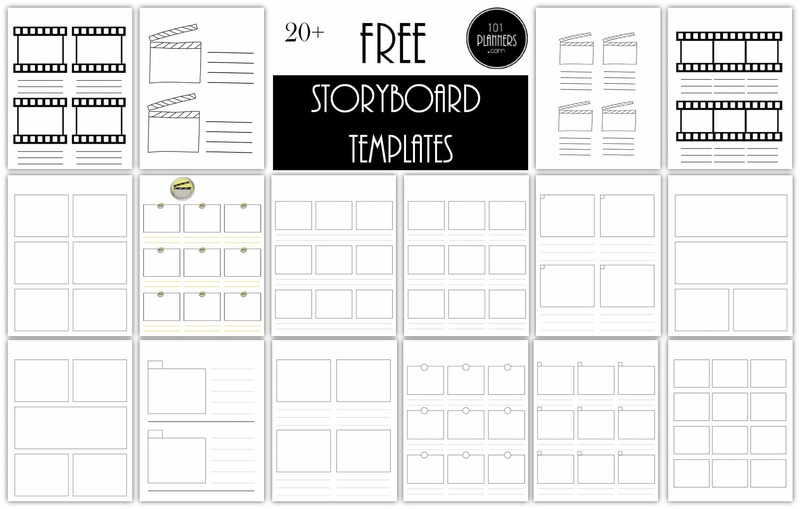 The Storyboard Template Maker offers more than 20 ready made story board templates but you can also create your own template in the exact format that you need. Click here to start or read on for step by step instructions on how to use the app (although most people will find it self-explanatory). 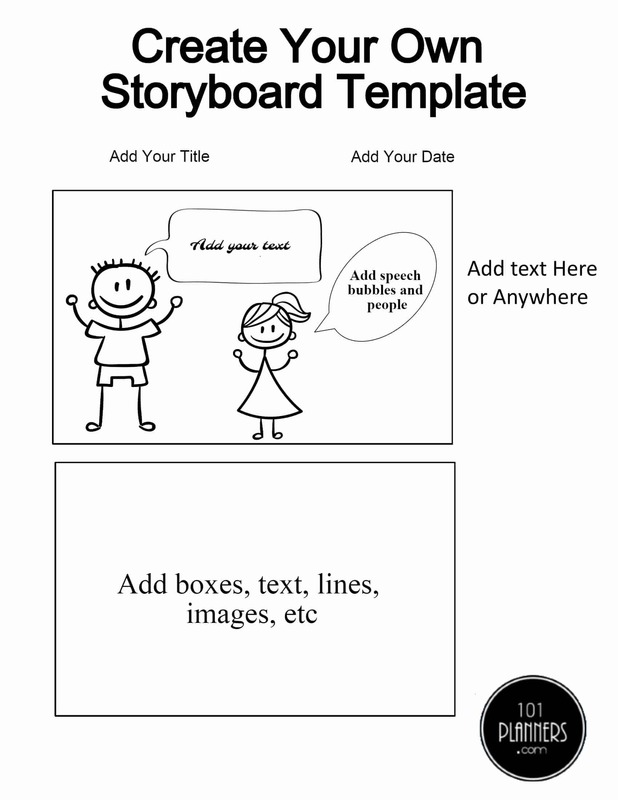 Open the Storyboard Template Maker. 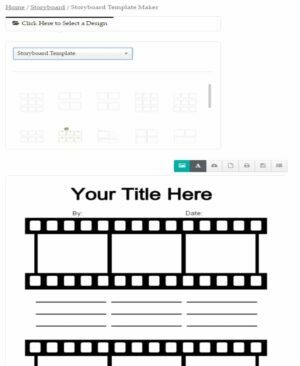 To select a template first click on “click here to select a design” and make sure that “storyboard template” is selected. Scroll down the list of templates to select one that you like. If you want to change the template at any stage then just click on another design. Add speech bubbles. Click on “click here to select a design” and select “speech bubbles”. Scroll down the speech bubbles and click on the ones that you want to add to your template. You can move them around and make them bigger or smaller. Add stick people. Click on “click here to select a design” and select “stick people”. Scroll down the list of doodles and select one. If you would like to add additional doodles then please leave a comment below and we will try to add them to the app. If you find that the existing templates are not what you are looking for then you can still use the app to create your own DIY template. 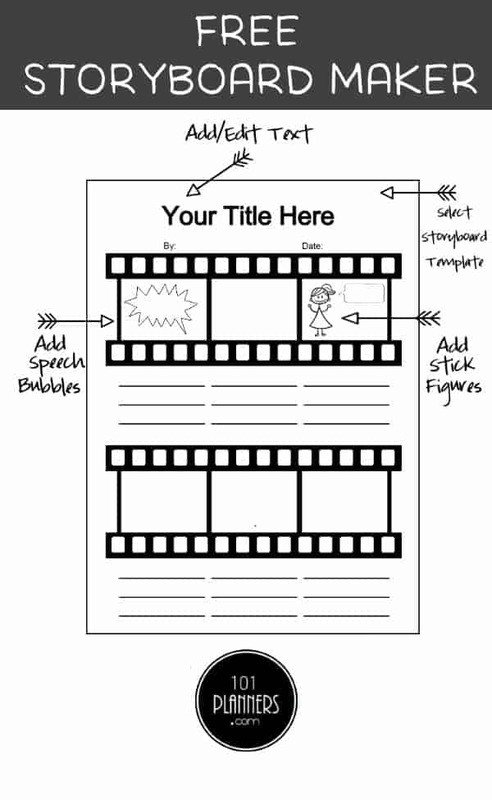 Firstly, select a storyboarding template. 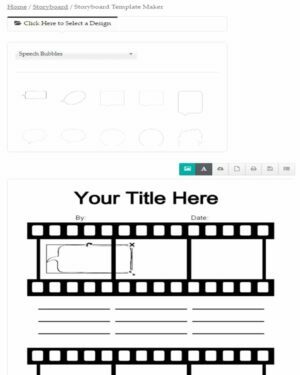 If you want to customize an existing template then select it. If you want to start from scratch then select the last template (which is a blank sheet). Click on “click here to select a design” and select “make your own template”. Add rectangles, squares, captions, speech bubbles, people, text, etc. 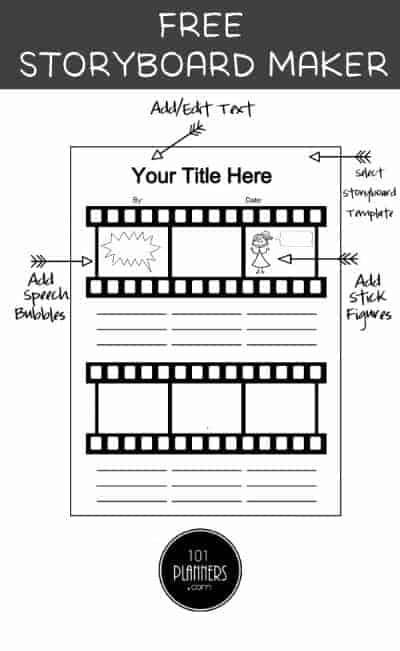 Once you are satisfied with your layout you are ready to download or print. Storyboard template PDF – click on the paper icon to download the PDF document. Image file (png) – click on the cloud icon. To use in Word or Powerpoint – download as an image (png) then open Word or Powerpoint. Click on insert image and insert the image that you downloaded (it is saved as product.png). We are constantly striving to improve our software so if you have any suggestions or require additional functions then please leave a comment below.